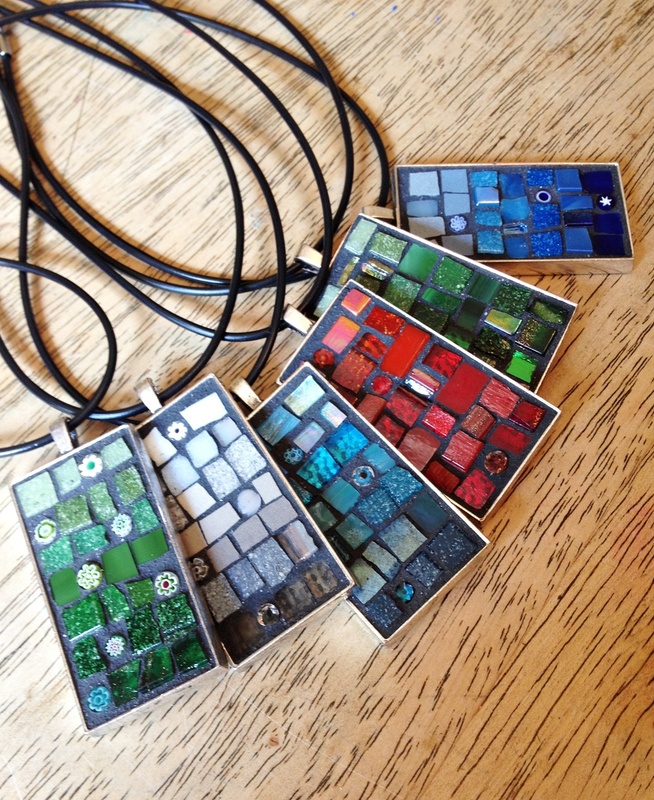 If you haven't met them yet, we'd like to introduce you to our new, larger mosaic pendants. Designed with the same ombre fade from dark to light as our smaller pendants, this new style features millefiori and other visual treats. This is the flashy friend to our original, understated design. Come see them (and us!) in person at the 43rd St. Festival of the Arts this Saturday, September 13 from 10 to 5.